The River Lamprey Lampetra fluviatilis occurs in both anadromous and landlocked forms and is normally up to 30 cm long and 60g in weight. It can easily be distinguished in adult form from Sea Lamprey by its smaller size and darker coloration. River Lampreys are silvery along the sides of the body and undergo belly darkening to grey on the back. 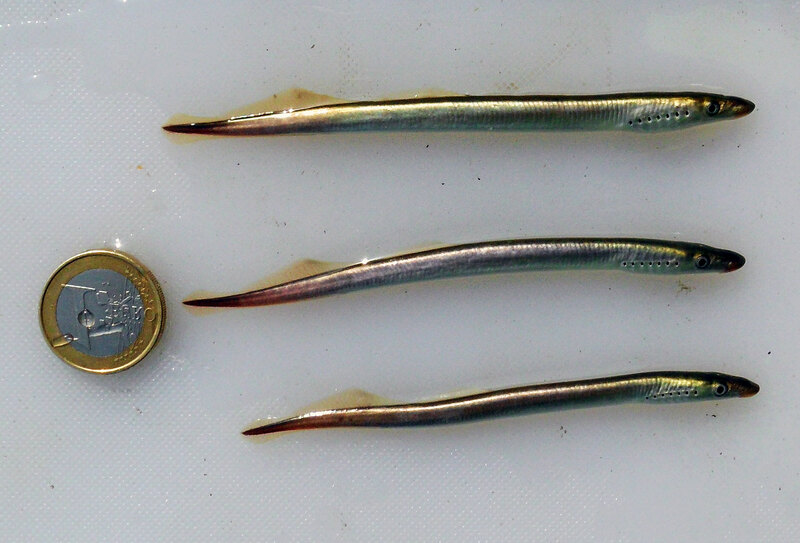 The River Lamprey is intermediate in size between the larger Sea Lamprey and the smaller Brook Lamprey. The River Lamprey is widely distributed in Northern Europe and historically penetrated deep into central Europe along larger river systems. As with the Sea Lamprey, it has shown a marked decline over the past century. In the British Isles, River Lampreys generally spawn during May-June in flowing water areas among silt and gravel substrates. The particle sizes used may be smaller than those used by Sea Lamprey and stones up to 5cm in diameter and 150g in weight can be moved during construction of the nests. The nest is oval or circular depression of up to 40cm in diameter. 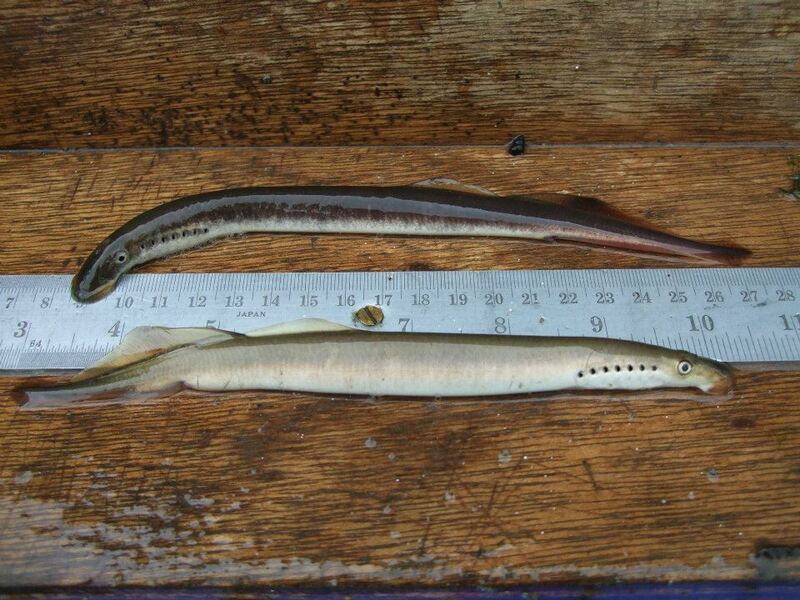 River Lampreys spawn in deeper water than Brook lamprey and have been recorded spawning at depths of 20-150cm in currents speeds of 1-2 m3 sec-1. River Lampreys spawn in groups and each female produces at least 7,500 ova. Incubation rates have been recorded to be 13-15 days at 13-14°C. The larvae leave the nest and drift downstream within 5 days of hatching, settling in silt, gravel or clay beds in shaded areas downstream of the spawning areas. After a larval period of approximately 5 years, the larvae transform into macrophthalmia and migrate downstream. The young macrophthalmia can still burrow but their primary purpose at this stage is to descend to the sea and this usually takes place in spring. 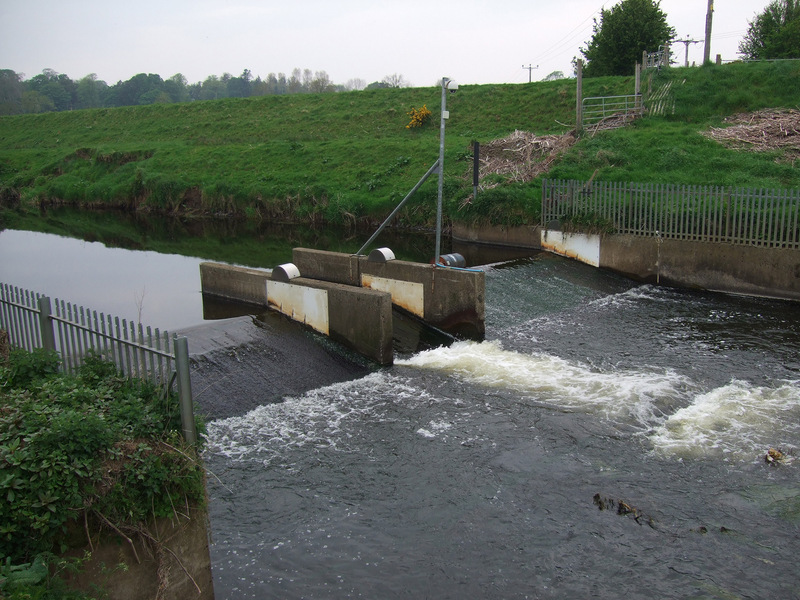 A relevant post to the above is ‘Lamprey passage at crump weirs‘. In relation to the current Article 17 Conservation Status Assessment for river lamprey please see our post here: ‘The case for the River Lamprey‘.